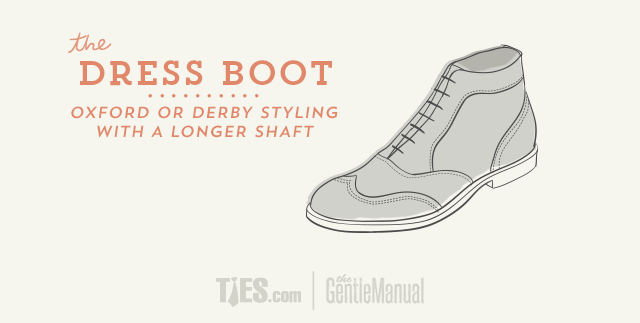 A dress boot is constructed like an oxford, and is very often the same shape, but with a longer shaft. This short, lace-up boot often features wingtip broguing on the toe and along its seams, typically rising over the ankle. This style traces its roots to the Victorian era when men’s footwear options were limited. 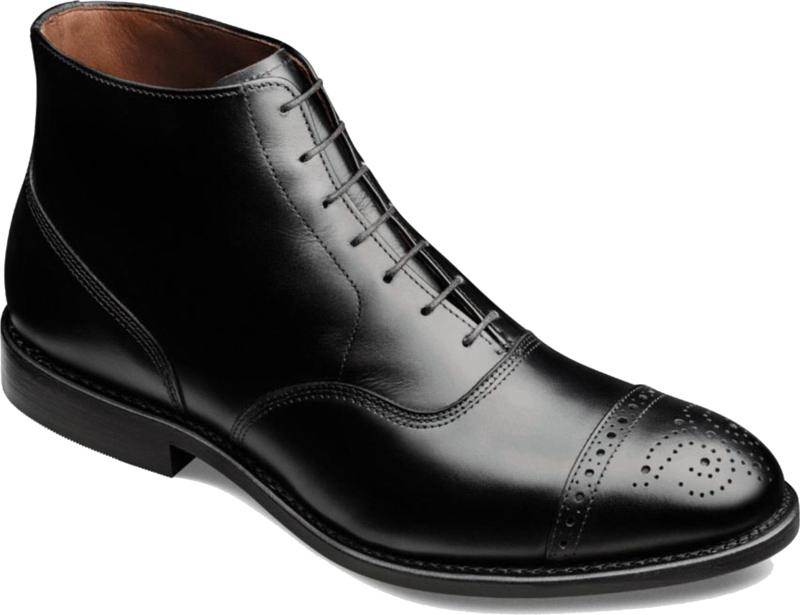 The dress boot quickly became an accepted dress shoe option, appropriate for formal daywear. The place of the dress boot in menswear has remained much the same, and it is an attractive alternative to typical dress shoe styles. When is a boot dressy enough? It should be sleek, not too chunky, have laces thinner than those found on casual-wear boots, and should have soles which immediately distinguish the boot as a high-top dress shoe. Lug soles and commando soles will rarely be appropriate, though there are exceptions. If the boots are made of fine leather, their color doesn’t much matter so long as it compliments the suit. Unless you are an expert, assume that a suede dress boot is a contradiction (though it need not be).